My friend Bill Petrie and I talk a lot about authenticity. We talk about it on our weekly podcast unScripted (it drops every Friday here), and in talks we give about Content Marketing. The concept is simple. Be you. Create your own voice. But as is the case with many things in life, simple is not the same as easy. When it comes to authenticity (in content and in life) I have good news and bad news. The Good NewsThe good news about creating content around your authentic voice, opinions and personality is…it will be easier. You won’t have to create an opinion about your work or your life. You have them. In many ways, when you can truly embrace this, you shed a weight. Many of us go through life wearing a mask. When you make the realization that you are not for everyone, and accept that, it can be freeing. The Bad NewsOn the other hand, it can be scary. If you are like most of us, you have some concern that if you are really you, people won’t like it. I totally get it. And here’s the rub. If you are authentic, there are going to be people that don’t like it (or you). There will be people that bristle if you share a true opinion or point of view. They will avoid you or not do business with you. And that’s okay. The fact is, when you share your authentic voice, you will turn some people off. But you will attract people as well. And for the most part, the people you attract are much more likely to “get” you and what you are all about. The people you attract are going to be the organizations that identify with what Simon Sinek calls “your why.” They will even (most likely) be people or organizations you enjoy serving more. You will have real relationship that is authentic. As I said to Bill recently, this does not just mean being authentic about opinions. For us, it’s being authentic about joy. Our mission is to “Deliver Marketing Joy.” Recently we did t-shirts (they are so sweet and you can check them out here) that say “Be Kind. Spread Joy. Embrace the hustle.” Though I absolutely love them, there are going to be some that are turned off by the message. That, my friends, is totally cool with me. If our message does not resonate with them, there are plenty of other options out there. But if that message gets you fired up and brings you joy…welcome to the tribe. Make sure you never miss an update! Sign up for our VIP newsletter below! 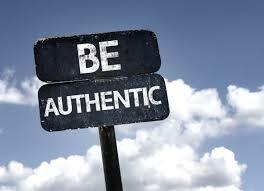 I hear the world “authenticity” thrown around a lot today. Heck, I even find myself using it a lot. It’s almost become one of those business cliche’s that pops up in every meeting. These are the words that lose their meaning, because they are used so much. (As a side note, friends and I would play Buzz Word Bingo at an old job. We would keep track of all of the cliche terms, and when we heard them all, we could yell “Bingo!” It was really funny…once.). There is a problem with authenticity though. It’s a term we like when it serves our needs. We don’t ALWAYS like authenticity. There is an asterisk beside the term. *We like authenticity in specific circumstances. *We like it for ourselves: We love the idea of authenticity when we are talking about ourselves! Yes…people will love the real me! “If I am genuine and honest and transparent (another new buzz word), the world will flock to love me.” But are we as excited and enthusiastic when other people are THAT genuine? *We like it when we agree: We love the idea of someone who is authentic and is saying what we believe. We can’t get behind that enough. We might (as a culture) even label them as brave for doing it. Good stuff. But what about those people who authentically disagree with us? Do we label them as “brave” or as “evil and misguided?” *We like it when we understand: This is a close relative to above, but it’s not exactly the same. We might not TOTALLY agree, but we have friends that do. We at least understand the plight. So you we can gladly laud them for speaking up! But what about the causes or efforts we don’t understand.? You get the point (I hope). We can’t just love and admire the authenticity of a few. And in the interest of transparency, I preach being authentic. I think, to find your voice, it’s incredibly important. 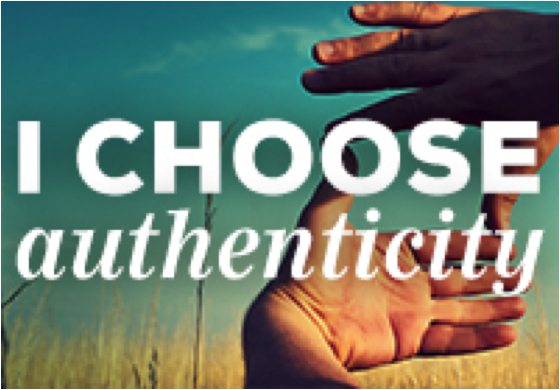 But if it’s a characteristic that is to be admired and cultivated, we need to open our minds…authentically. We have a new piece of content every day. Want to keep up? Sign up for our VIP newsletter here. Our goal is to provide you value, so make sure you never miss a post.